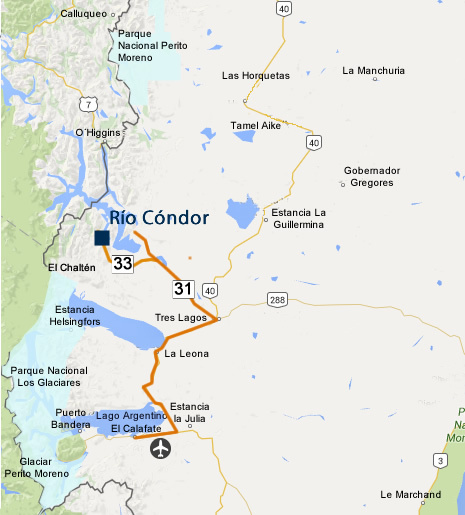 If you come by plane to El Calafate, take the Provincial Highway Nº 11 towards Río Gallegos City. After 15 km (9.2 miles) take National Highway Nº 40, in a northerly direction, until you reach the town of Tres Lagos (130 km / 80.7 miles). Up to this point the road is paved, but from here on it is gravel. 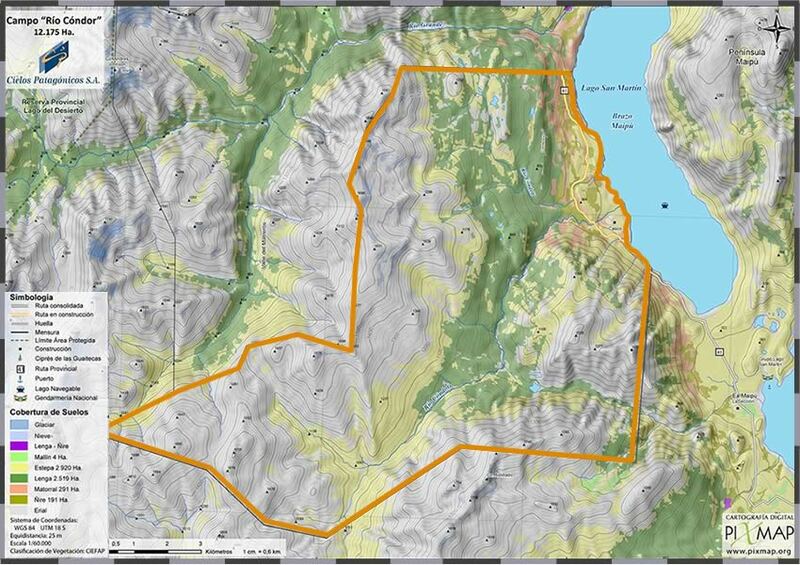 From the YPF petrol station take the Provincial Road Nº 31 up to the 72 km marker (44.7miles), close to Mount Kach Aike, and from here turn to the left along Provincial Road Nº 33. 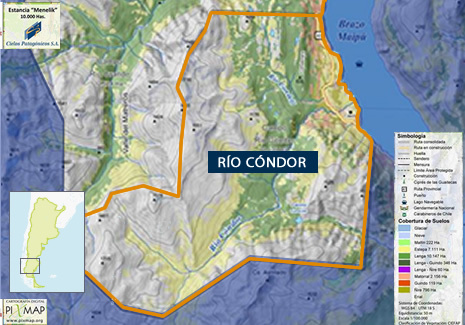 After covering 48 km (29.8 miles) along the southern margins of Lake San Martín and passing through several ranch gates, you arrive at Río Cóndor.